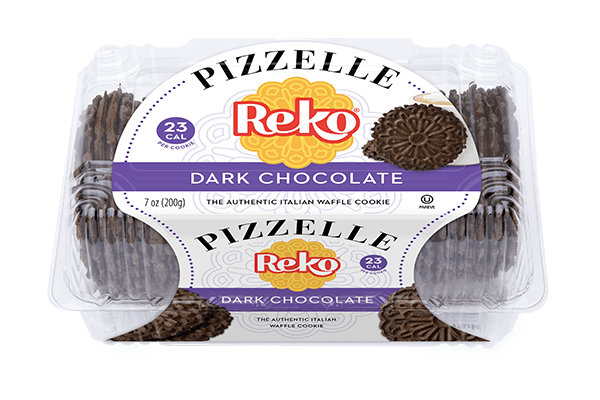 Our Vanilla Reko Pizzelle Cookies have been our top selling item for the past 30+ years. 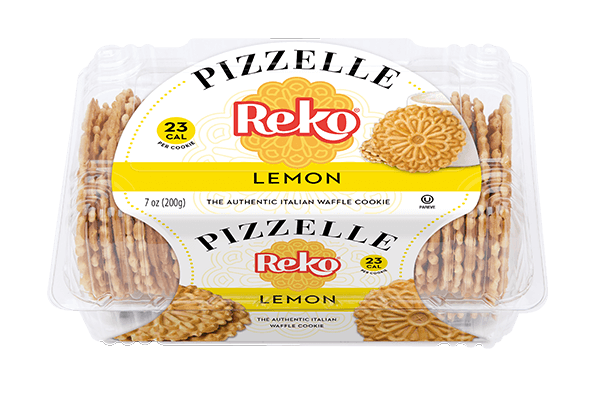 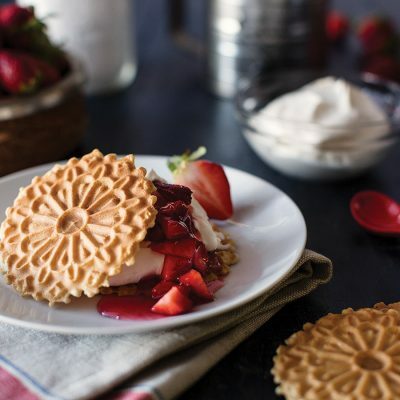 There is just something about the light hint of vanilla flavour that alludes to the traditional Pizzelle waffle cookie. 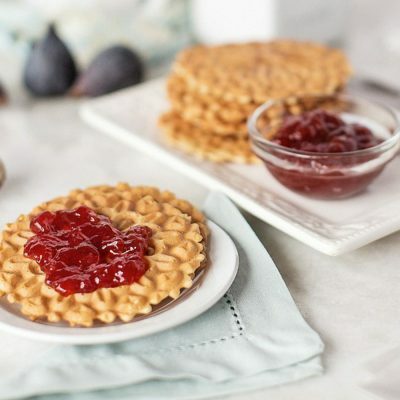 It has remainded a true fan favourite year after year. 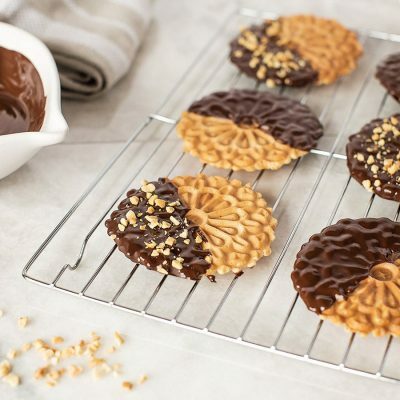 Flour, Sugar, Liquid Whole Egg, Canola Oil, Artificial Vanilla Flavour, Soy Lecithin, Caramel Colour, Baking Powder, Salt.